- Equip with Italian brand Rossi gearbox, directly connect with motor, without pulley & belt; reduce power consumption 13-15%. - Heating system with PID temperature controller +SCR, save electricity cost compares to the other competitors. - Screw material is imported from Japan and the screw is fabricated in Taiwan. We have different screw design according to different screw material. - Special designed flow path of die head makes the material can be extruded evenly and completely, low thickness variation. Further, easy & quickly change the different material or color, it only takes one hour to clean off the flow path of die head. - Different types of winders for choice, manual type and automatic type surface friction winder, dual shaft center winder…etc., customers can choose according to their requirement. 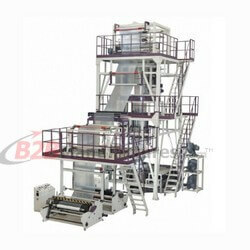 Matila Industrial has more series of Multi-Layer Blown Film Machines with diverse specifications. Welcome to visit our website! 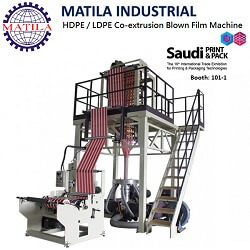 The 16th edition of the Saudi Print and Pack 2019 held Concurrently with the Saudi Plastics and Petrochemicals, brings together industry professionals from around the Kingdom, the region and the world. The Saudi Print and Pack 2019 will take place at Jeddah Center for Forums and Events from 27 till 30 January 2019. 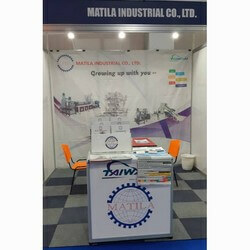 MATILA INDUSTRIAL is glad to invite you to visit our stand at booth 101-1 , Please feel free to meet us.